Providing you the best range of horizontal main drive, multi purpose equipment, agitator equipment, coating pan, homogeniser equipment and polishing drum with effective & timely delivery. 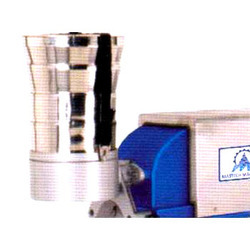 We are one of the reputed names of the industry that manufactures, exports and supplies Horizontal Main Drive. Owing to the tough construction, longer operational life, consistent performance and low maintenance, this efficient equipment is widely demanded in the market. The proffered range can be availed in numerous specifications to meet the diverse client needs. 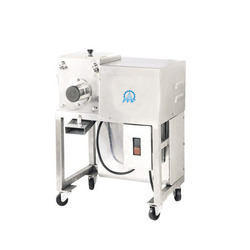 We Multi Purpose Equipment are considered a well-known name in the market that engages in proffering precisely designed and developed Agitator Equipment. Easy to operate and maintain, the proffered collection of devices is widely considered for its regular performance, low power consumption, longer operational life, andrugged construction. Agitators proffered by us are examined for their flawlessness before the final dispatch. 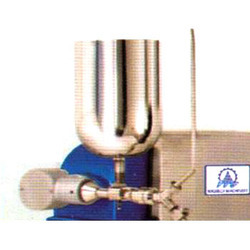 We are considered a well known name in the market that engages in proffering precisely designed and developed Agitator Equipment. Easy to operate and maintain, the proffered collection of devices is widely considered for its regular performance, low power consumption, longer operational life and rugged construction. Agitators proffered by us are examined for their flawlessness before the final dispatch. 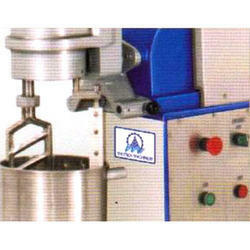 Coating Pan is manufactured by us with the help of premium quality raw materials obtained from our trustworthy vendors. Applauded for its rugged construction, high durability, efficient performance and low maintenance, the proposed selection is massively sought after in the market. Our clients can avail these optimum functionality coating pans in several specifications to fulfill diverse client needs. 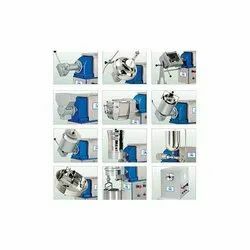 Homogeniser Equipment finds a vast application for the homogenization process of different materials that include food, soil, plants and others. The proffered selection is extensively popular in the industry and is applauded for its tough construction, ease of operation, longer operational life and minimum maintenance. 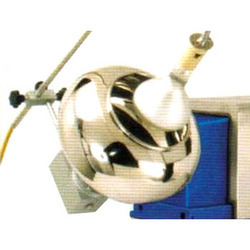 Homogenizers are offered by us in a varied range of models. 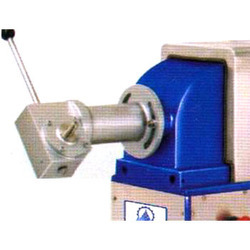 Mastech Machinery is the preferred name in the market that proffers Polishing Drum that is manufactured using premium quality raw materials procured from our trustworthy vendors. These high functionality drums are made available in numerous specifications to meet the varied client needs. The proffered series is applauded for its tough construction, efficient performance and low cost. 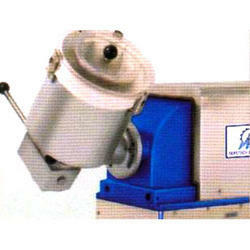 Sieve Shaker offered by us is manufactured in adherence to the preset industry standards. Widely acknowledged for their longer service life, rugged construction, ease of installation and minimal maintenance, these are widely desired. 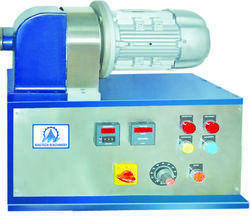 Sieve shakers are easy to operate and ensure accurate results backed by a consistent performance. Our clients can avail these at affordable rates. Mastech Machinery is a trusted name in the industry that manufactures and exports Universal Gear that is precisely engineered under the supervision of our experts. Manufactured as per the industry norms, these high functionality gears are vastly asked for their ease of operation and minimal maintenance. Universal gears can be availed at budget friendly rates by our precious clients. Output 5 to 20 Kgs. / Hr. Main Electric Motor 1 H.P. / 1440 R.P.M. / 3 Ph. As one of the leading manufacturers, exporters and suppliers of a wide gamut of Size Reduction Equipment, we are offering our clients a wide array of Size Reduction. These are designed using best quality factor inputs for providing durable finish standards and optimum performance. Further, these are appreciated for their superior quality and energy efficient features.